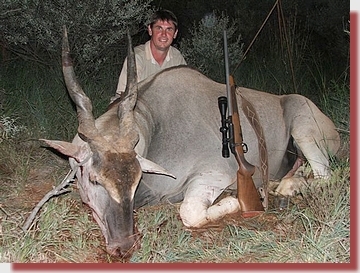 On my recent hunt I once again did not retrieve any bullets as they perforated the animals completely. was just in front of the hind leg on the opposite side. The 28" horns are 2" longer than the Roland Ward specifications. 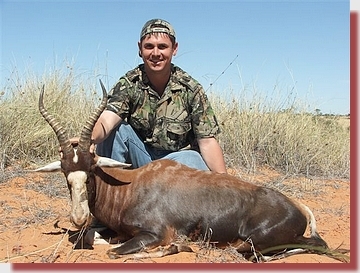 I hunted at Bona Bona Game Farm, Wolmaransstad, North West Province. 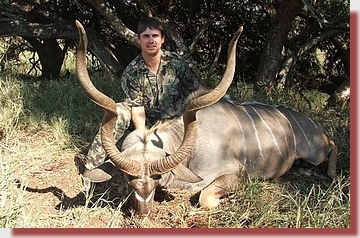 The Kudu bull below was shot at Kwalata Game Farm, Lydenburg, at a distance of 210m. 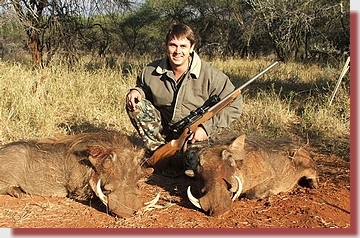 The Warthogs were shot at 50 and 120 metres, also at Kwalata. Below are some pictures of my second hunt this season with your bullets. 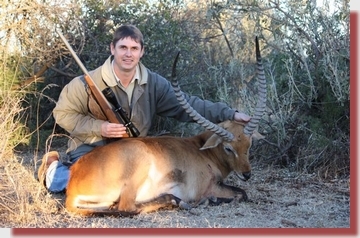 The eland was shot at a distance of 160m, using 150gr HV bullets in my 30-06. 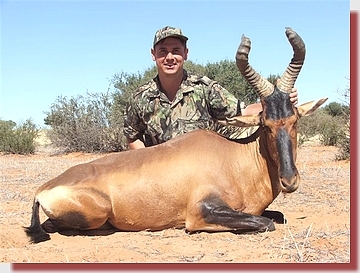 The rest of my hunt was done with 130gr HV's at distances which varied between 110 and 220 metres. The results were excellent, with exceptionally little meat damage. 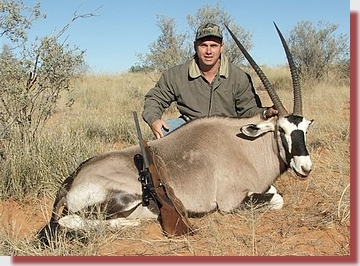 I retrieved the bullet from the gemsbuck and found 94% weight retention after penetrating both shoulder blades! 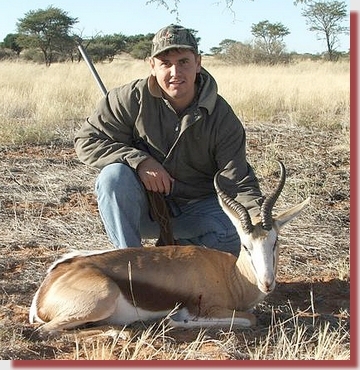 I used your 150 gr HV's in my 30-06 on my hunt at Imphofu Safaris in the Schweizer Reynecke/Christiana district. Shooting for groups beforehand, I got grouping of 20mm at 100m with these bullets and the results on the hunt were excellent. No bullets were recovered, although I was eager to evaluate the results. Meat damage in both cases was minimal. 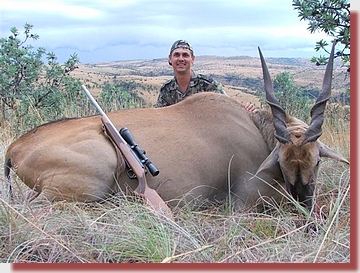 I shot the eland at 100m, high in the shoulder and stopped him in his tracks. A second shot was necessary for the kill. 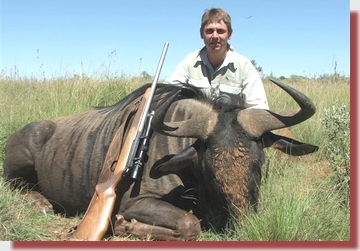 The blue wildebeest stood at 110m head-on after a lengthy walk and stalk. One neck shot was sufficient to make him lie down on the spot.